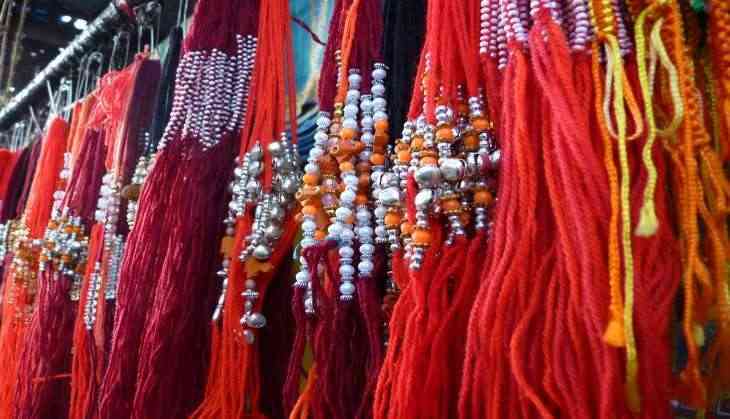 Home » Lifestyle News » This Rakhi take short term loans to get your sister a gift of a lifetime! Celebrating the bond between brothers and sisters, Raksha Bandhan is only around the corner. And while sisters are getting creative with their choice of bracelets, their darling brothers are thinking about that perfect gift to bring a smile on their sister's face as it is the special day of the year that strengthens their bond. But sometimes buying that unique exquisite gift can weigh a little heavy on their pockets. But worry not, nervous brothers out there, these fintech platforms provide short term loans that guarantee a quick turnaround time. InCred is a new-age financial services platform that has designed its products to be flexible and can tailor make them to best suit the requirements of its customers. The company has designed its products with a razor- sharp focus on serving the unique needs of the under-served segments of customers and leverages technology and data-science to make lending quick, simple and hassle-free. It aspires to be the key partner for all financial requirements of an Indian family. Faircent.com provides a virtual marketplace where, people who have spare money lend it directly to people who want to borrow. By using technology-driven facilities available only on Faircent one can reduce the loan disbursal process time to less than 24 hours. Post this process funds are transferred from lender's escrow account to the borrower's bank account within 12-24 hours. Thus, the entire disbursal process takes 24-48 hours. It is transparent and driven by borrower and lender interest with Faircent acting only as a facilitator. Qbera is an online lending platform providing fast, frictionless, and fair personal loans to professionals. The company provides lending services through an end-to-end digital platform, enabling transfer of funds to the borrower within 24 hours of receiving the online application. The company offers unsecured personal loans of up to Rs. 5 lakh, following an online delivery model to ensure a seamless process. MoneyTap is India's first app-based consumer credit line, which provides hassle-free instant loan, with no time, wasted on filling paperwork or waiting at the bank for procedures to be completed. MoneyTap launched the product in with several banking partners. The technology enables MoneyTap to provide instant decision and instant access to money - 24/7, irrespective of holidays. OMLP2P, an online Peer-to-Peer (P2P) lending platform, offers consumers short-term and long-term unsecured loans facilitating loans online from Lenders (investors) in a transparent, convenient, and effective manner. OMLP2P uses a tech-enabled verification process based on the personal and financial information provided by the borrower.